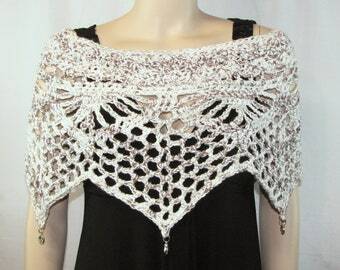 Crochet poncho or capelet in a lovely star shaped pattern. 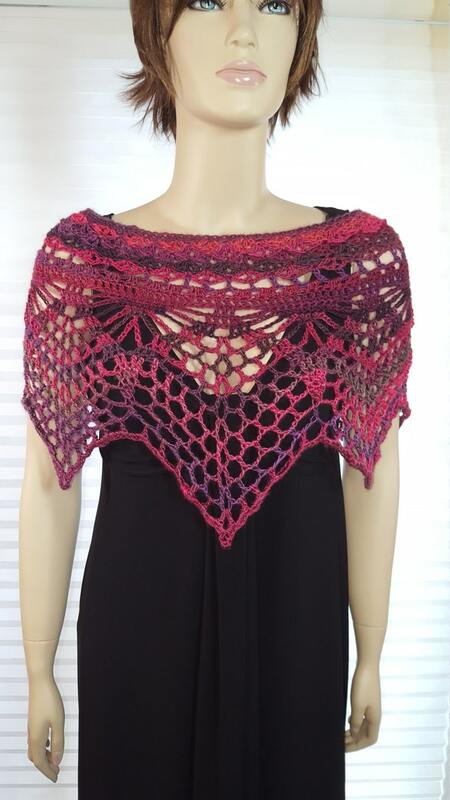 Soft yarn in shades of red and purple. 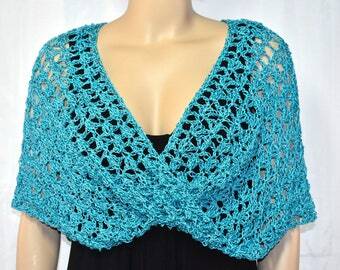 This poncho would look great over a dress, halter, tank top, or practically any outfit. 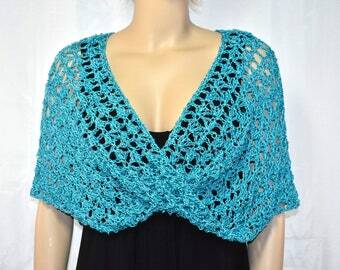 it wIll surely attract attention where ever you go! Misses / ladies/ women's small size (sizes 4 - 8). 15" at neck opening (30" circle). 26" across bottom (52" circle). 14" at the longest points.